4 January 2017 – Technics today unveiled the new Grand Class SL-1200GR Direct-Drive Turntable System for audio enthusiasts, a standard model inheriting the technology of the SL-1200G, which was developed as a reference direct-drive turntable for the next generation. 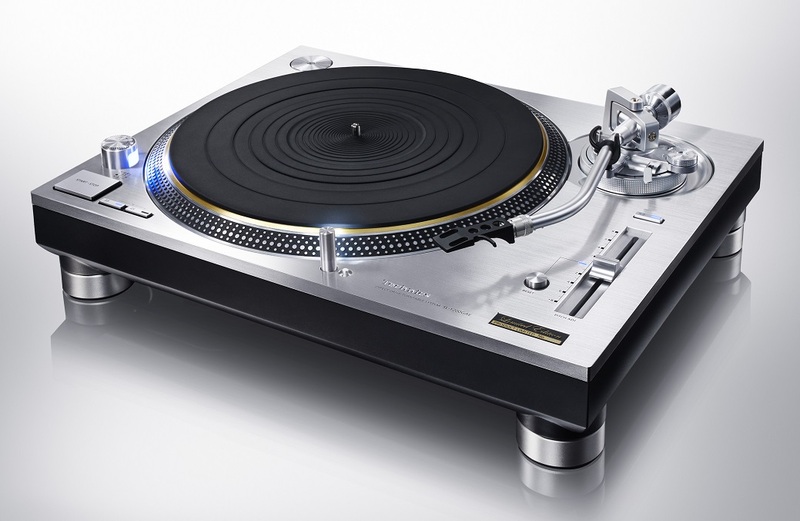 Launched in 2016, the SL-1200G combined Technics‘ traditional analogue technology and advanced digital technology. Its outstanding performance literally rocked the hi-fi market and redefined the reference for direct-drive turntables. 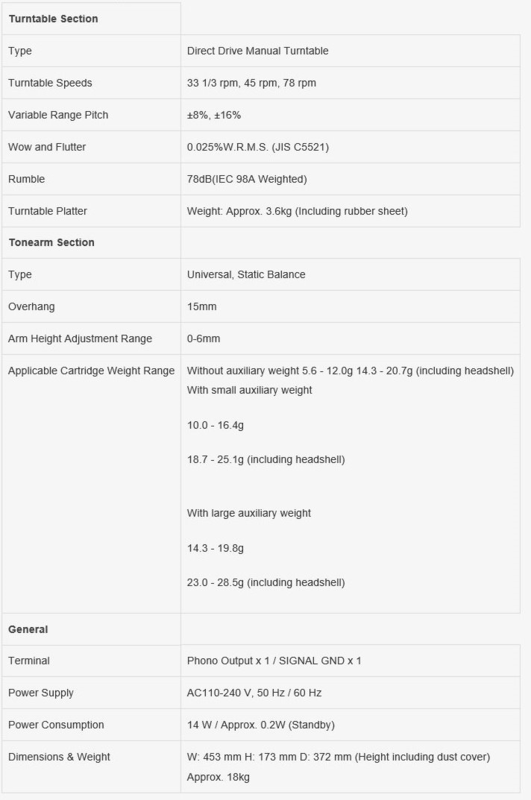 Parts from the SL-1200G were newly developed to create the SL-1200GR, such as the coreless direct-drive motor and precise motor control technology, high-rigidity platter and high-sensitivity tonearm. This ensures audio enthusiasts using the SL-1200GR can enjoy music with the rich, robust sound of analogue records. The SL-1200GR ensures high-rigidity by using a body with a two-layered construction solidly unifying the BMC and the aluminum die-cast chassis. For the insulators supporting the body, as with the SL-1200G, the SL-1200GR uses special silicon rubber that ensures both high vibration damping characteristics and long-term reliability. Vibration in the horizontal direction is absorbed by reinforcement with cylindrical tubes using microcell polymers. While inheriting the technology of the SL-1200G, the insulators have been modified to specifically suit the characteristics of the SL-1200GR. 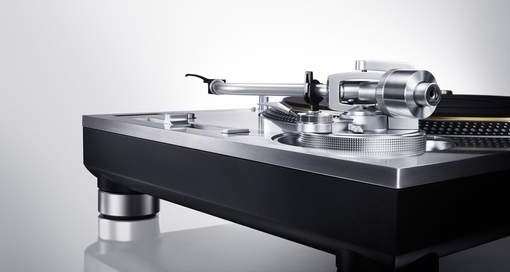 Technics has today announced the specifications for the new non-limited edition Grand Class Direct Drive Turntable System SL-1200GEG, developed for audiophiles looking to rediscover and experience the uniquely warm sound quality of analogue vinyl discs. The SL-1200GEG will be available to buy in Autumn 2016 for those not fortunate enough to have purchased one of the only 900 limited edition SL-1200GAE turntables available outside of Japan. The 300 limited edition samples available for the Japanese market sold out in just half an hour. In conventional analogue turntables sound quality was degraded by tiny vibrations of the motor and rotational speed fluctuations, known as ‘cogging’. However, by combining the knowledge and expertise gained as the originator of direct-drive turntable systems with a newly developed coreless direct-drive motor without iron core, this ‘cogging’ can be eliminated.Any potential minute motor vibrations are suppressed even further by high-precision rotary positioning sensors guided by a microprocessor controlled system; a feature unique to the new Technics turntable. 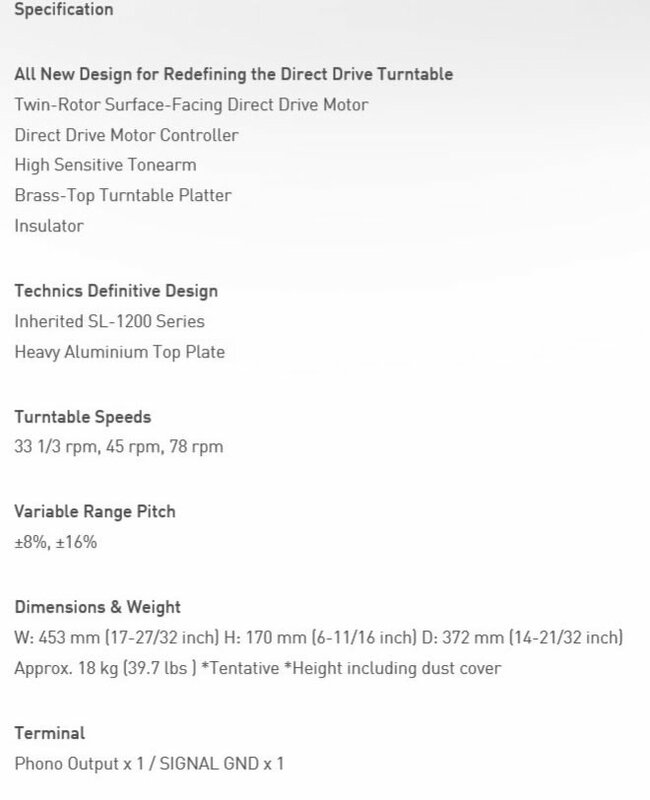 The turntable has a three-layered construction consisting of a rigidly combined heavyweight brass and aluminum die cast platter, and deadening rubber covering its entire rear surface.This eliminates unnecessary resonance, achieving high rigidity and vibration damping. 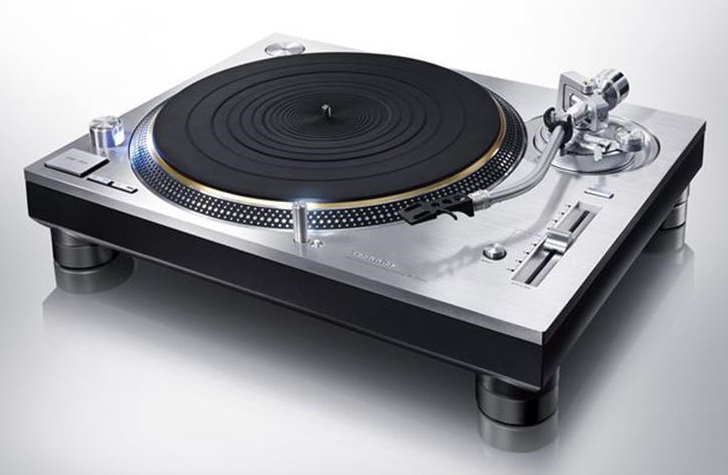 The smooth rotational stability and inertial mass even surpasses the Technics SP-10MK2, the direct-drive turntable standard used in the past by broadcast stations worldwide. The tonearm employs a lightweight material (magnesium) which has been cold drawn to improve the characteristics of the material and increase the dampening effect. The SL-1200GEG will be available to buy in Autumn 2016. SL-1200GAE : zéér beperkt beschikbaar !!!!!!!! Beide draaitafels brengt Panasonic onder de Grand Class-lijn uit. 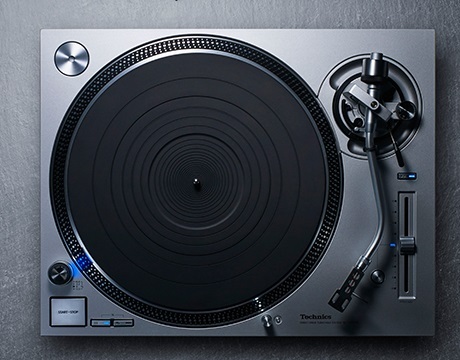 De SL1200GAE komt deze zomer ter ere van het vijftigjarig bestaan van de Technics-merknaam uit in een gelimiteerde en genummerde oplage van twaalfhonderd stuks. De SL1200G komt later in 2016 in grotere oplage beschikbaar. De prijs van de SL-1200GAE(speciale limited edition)zal vermoedelijk(update 15.03.2016) 3499,00 euro bedragen. 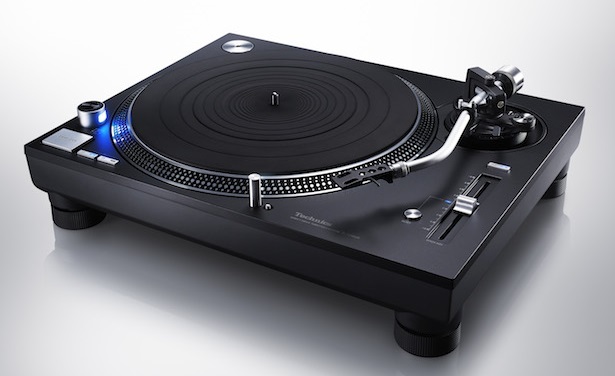 The direct-drive turntable invented by Technics is still highly acclaimed by audiophiles and DJs in the form of the SL-1200 Series, and there have been many requests to revive the turntable system. As such, we decided to develop a new system for Hi-Fi use. Here we provide an outline of our intent in this development. Direct-drive is generally considered to be for DJ use, and belt drive is for Hi-Fi use. In the 1970s, when Technics invented direct-drive turntables, their performance and reliability were first recognised by broadcast stations. High acclaim was then received by audiophiles. The high-precision rotation and absence of S/N ratio degradation were particularly attractive to these users. The high torque and reliability of direct-drive were recognised by DJs, and direct-drive turntables became the standard in the club scene. When developing a direct-drive motor, considerable capital investment is required for large-scale production equipment. In contrast, belt drives can be made with a little cost. Also, compared with direct-drive, belt drive was designed with the latest technology. The view remains that direct-drive is for DJ use and belt drive is for Hi-Fi use. Originally, direct-drive offered superior sound quality. If we redesign the direct-drive motor and control circuitry, we will be able to create a turntable that is superior to other systems. Technics was also a leader in incorporating innovations, such as vibration-damping materials, cabinet construction, and insulators. 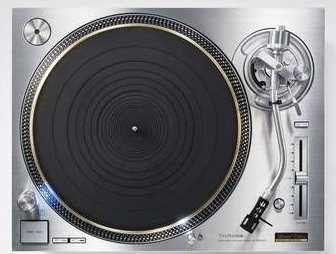 Having inherited the DNA of Technics, we do not wish to merely make a replica of the SL-1200.